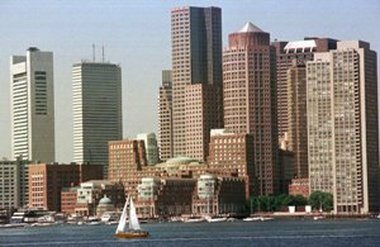 The Bay State wants to make changes based on investment losses "presumptively disapproved." Insurance regulators in Massachusetts want to require insurers to give more information before they increase long-term care insurance (LTCI) prices but have not put a cap on increases. Officials at the state’s Division of Insurance have released draft LTCI regulations and explained their proposal in a new LTCI report. Officials say they considered a proposal to limit LTCI increases to no more than 10 percent per year. The division rejected that proposal, because it feared some consumers that had to spread increases over several years would end up seeking bigger increases than they would have sought if they could have implemented one big increase. The division also rejected a proposal to require all new LTCI policies to offer at least one policy with the premiums guaranteed throughout the policy’s lifetime, and to create a guaranty fund that would support the development of a guaranteed-price product. Officials did decide to make all rate changes based on investment losses “presumptively disapproved.” “This would prohibit carriers from raising premiums to make up for lower than anticipated investment returns,” officials say. Include rate stabilization provisions from a model regulation developed by the National Association of Insurance Commissioners (NAIC). Require all LTCI rate filings to include projections of future LTCI claims experience based on moderately adverse assumptions. Prohibit a carrier from charging more for policies in a “closed block” than it would charge for similar coverage offered to new enrollees. Require that at least 85 percent of any premium increase on an existing block of business be used to pay the block’s claims. Require an insurer to put an analysis of actual LTCI claims experience in the estimates of overall rate need.